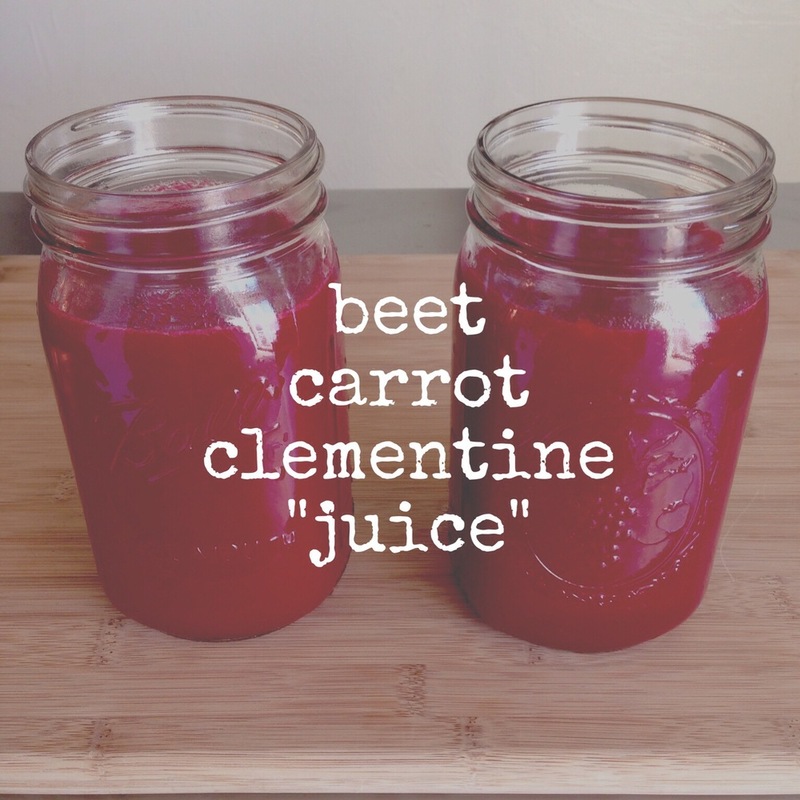 Recipe: Beet Carrot Clementine "Juice"
while clementines are in season & as tasty as can be, i thought i would add them to one of my all-time favorite "juice" recipes. other than the go-to green smoothie, this one tops the list as the next favorite vitamix drink concoction in my kitchen. i put "juice" in quotes because i actually make this in the vitamix. since i don’t have a juicer, i often opt to strain this recipe so it comes out more like a juice. however, straining is optional if you’d rather keep the fiber & drink as a smoothie. or if you have a juicer, try it that way! (just make sure to omit the water). i do suggest a high-powered blender for this one. i would also halve this recipe if you don’t have a large blender. this one was a bit on the full side for me with a 64oz blender. 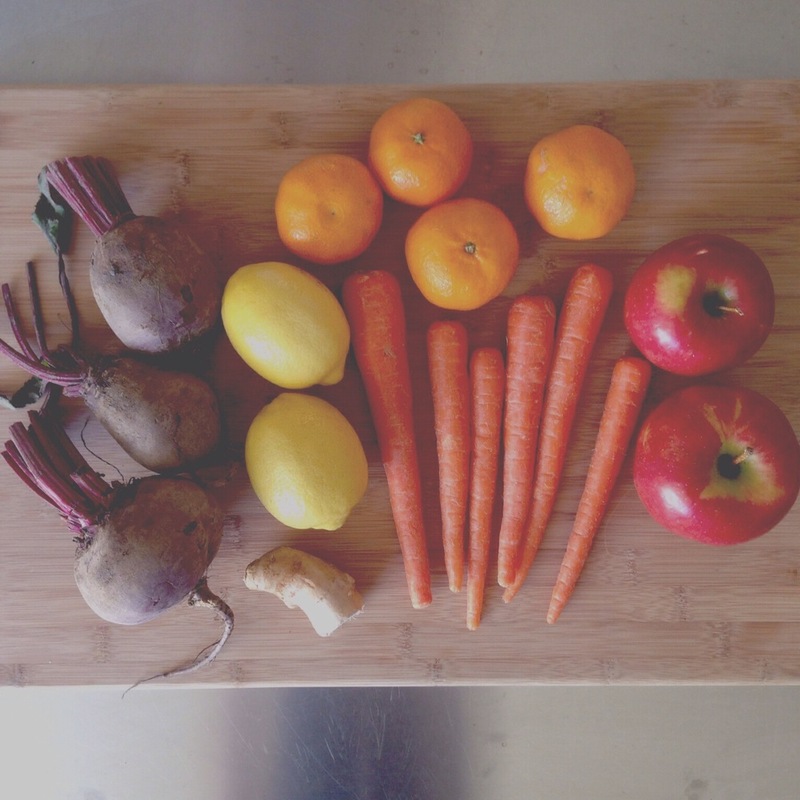 i start with the tough stuff & blend the beets, carrots & ginger with water first. then add the rest & blend. strain with a wire mesh strainer over a large measuring up & push juice through with the back of a spoon. repeat if you want to make sure all the pulp has been sifted out. discard pulp. pour into airtight containers & refrigerate. if you blend or juice this recipe, let me know how you liked it in the COMMENTS below!